The shields of the provinces and territories surround the Centennial Flame in front of the Parliament buildings in Ottawa. A new survey from the Environics Institute highlights some of the simmering discontent in Western and Atlantic Canada against the federal government. 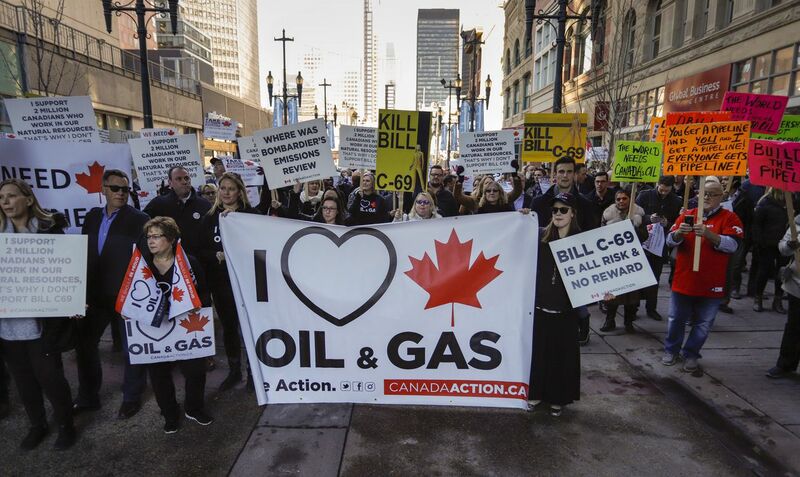 Nov. 27, 2018: Pro-pipeline demonstrators, organized by the lobby group Canada Action, gather and chant slogans outside a Calgary venue where federal Finance Minister Bill Morneau was speaking. The protesters decried a perceived lack of action by the federal government on expanding the Trans Mountain pipeline from Alberta to B.C. Region B.C. Alta. Sask. Man.